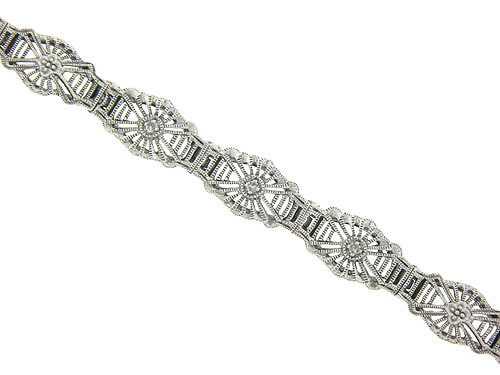 Intricate spider web filigree stretches across the surface of this spectacular sterling silver bracelet. Fine faceted diamonds sparkle from the center of the three center links, while the rest are decorated with floral inspired engraving. The antique style bracelet measures 7" in length, 1/4" wide.